Head over to get this L.O.L. Surprise! 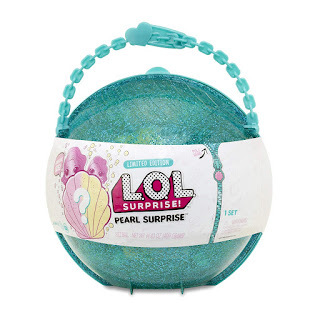 Pearl Surprise for ONLY $19.99 Shipped (Retail $29.99)! L.O.L. Surprise offers more unboxing surprises with the L.O.L. Surprise Pearl Surprise. Discover shimmery, pearl surprises inside with rare, limited-edition dolls and accessories!